High quality synthetic filaments for great paint pick up and spreading rate. Excellent finish with water based paints. Rounded beavertail handle. Rust resistant stainless steel ferrule. Vapour box compatible. Sizes 1 x 1", 2 x 1 1/2" and 2 x 2". 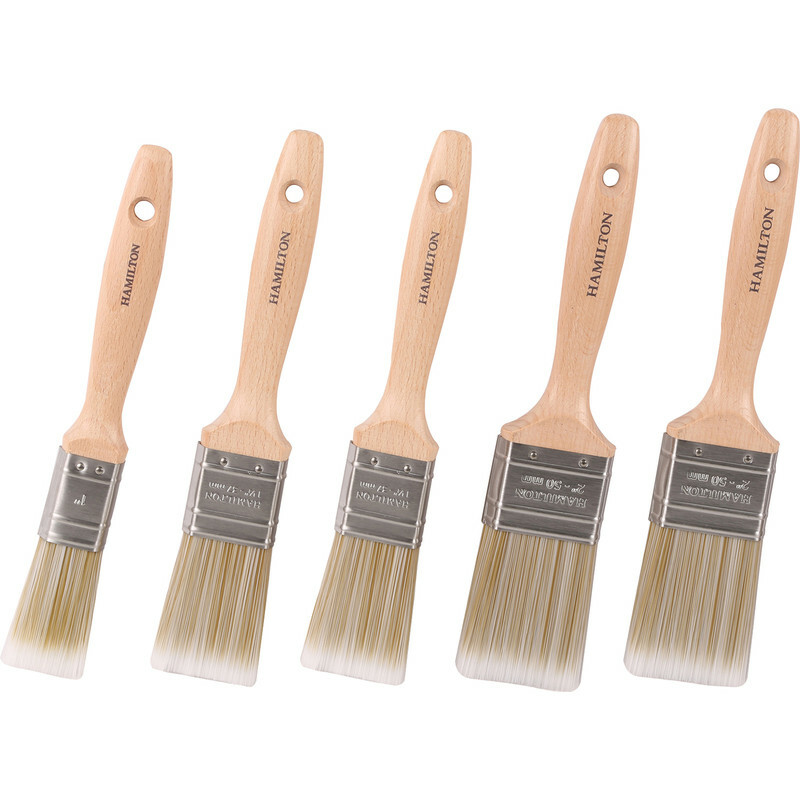 Hamilton Prestige Synthetic Paintbrush Set (5 Piece) is rated 5.0 out of 5 by 3. Rated 5 out of 5 by Paulthe DIYman from Good value for money This is the second set of Hamilton Prestige Synthetic Paintbrush Set I have bought. The brushes are excellent. No bristle loss and perfect for water-based paints. Rated 5 out of 5 by palindrome from Great For Cutting In These brushes are great for use with emulsion paint, provide an excellent finish and are perfect for cutting in. Easy to maintain. Rated 5 out of 5 by lew39 from Beautiful brushes As a painter and decorator for nearly 20 years I've never used Hamilton brushes, thought I'd try these synthetic ones and I must say they are beautiful and lay the paint on very nicely & even with no loss of bristles , they hold a good amount of paint, excellent for emulsion, leave a smooth Finnish without no brush marks, I'll be buying another set without question !! !